Pancreatic cancer is a difficult condition to diagnose. This is, perhaps, reflected in the large numbers of patients who are diagnosed as an emergency presentation. 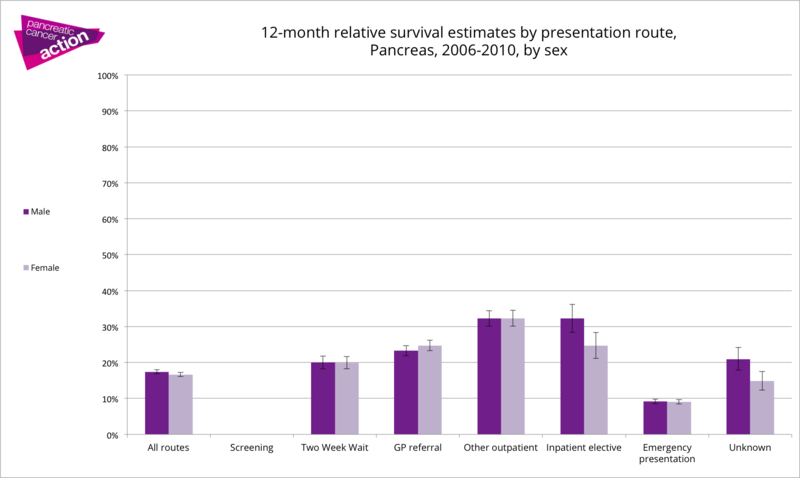 As can be seen from the above table, there is more than double the amount of pancreatic cancer patients who are diagnosed as an emergency presentation than for all cancers combined. This too is reflected in the percentages diagnosed via the GP referral or two week wait system. Does it matter where you are diagnosed? The graph above shows the relative survival percentage by route to diagnosis for one to 12 months. Notably, the one-year relative survival for all routes is 17 per cent. 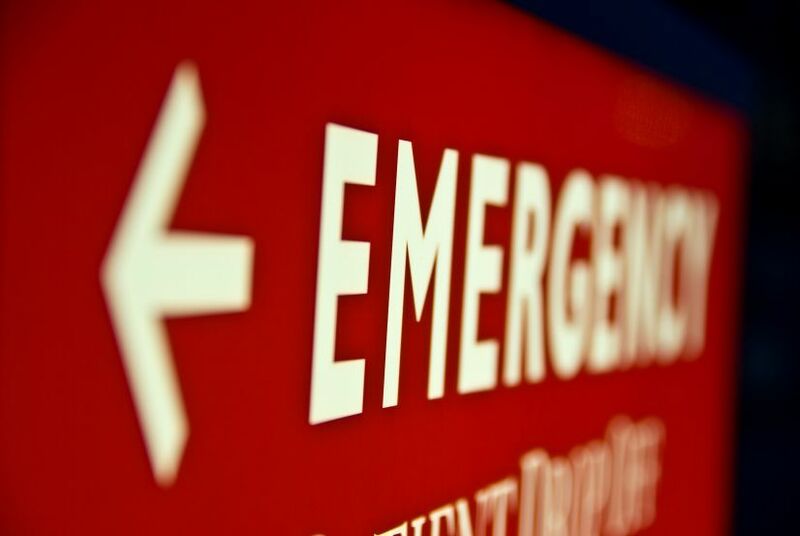 However, for those diagnosed as an emergency presentation, this falls to only 9 per cent – that is a reduction of 53 per cent. Survival is lower for this group of patients across all survival intervals. A UK study of over 13,000 cancer patients (2) has revealed that around one in three pancreatic cancer patients require three or more visits to their GP before they are referred to a specialist. And, as you would expect, the more GP visits patients had to make delayed their diagnosis. For pancreatic cancer patients who visited their GP more than five times, their diagnosis was delayed on average by more than three months. Late diagnosis is one of the reasons why pancreatic cancer survival rates are lower than for other types of cancer. The information provided in this site, or through links to other websites, is not a substitute for medical or professional care and should not be relied upon as such. Read our disclaimer.